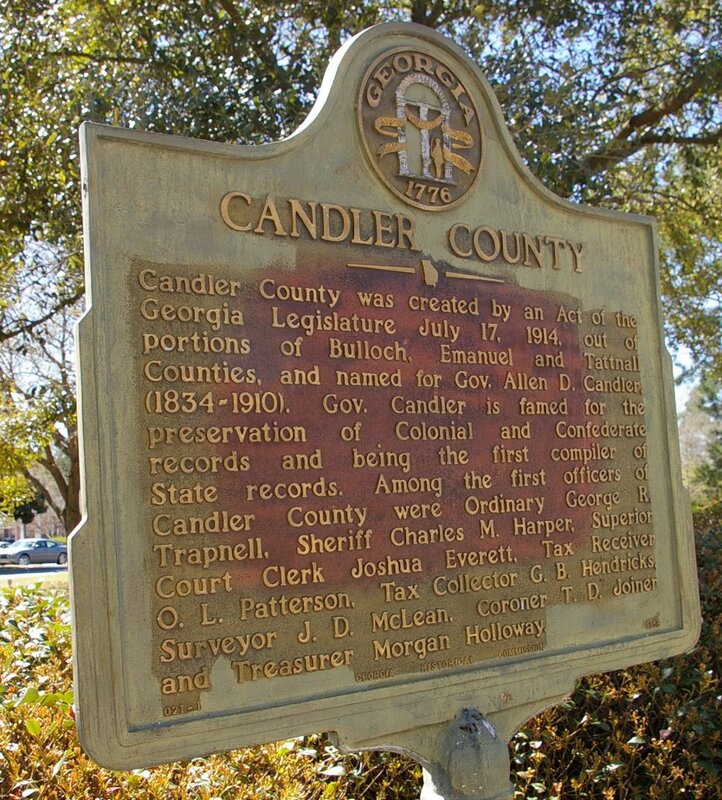 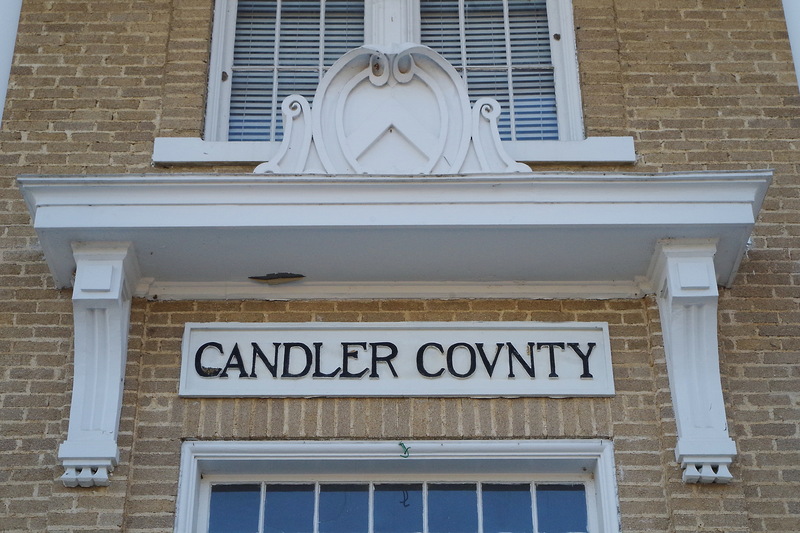 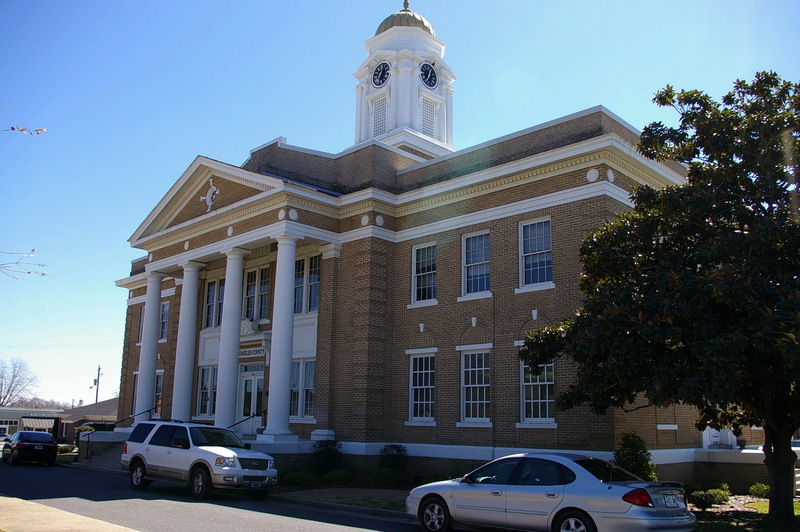 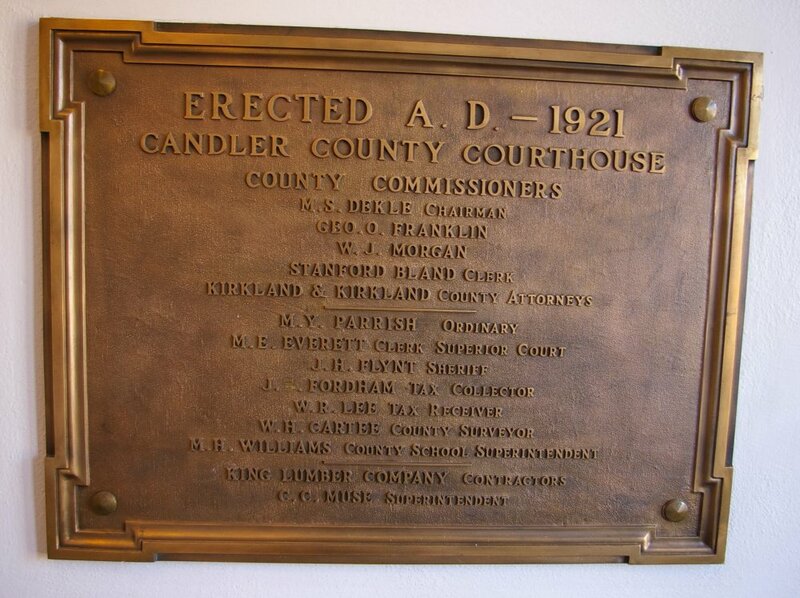 Candler County is named for Allen Daniel Candler, who was the fifty-ninth governor of Georgia. 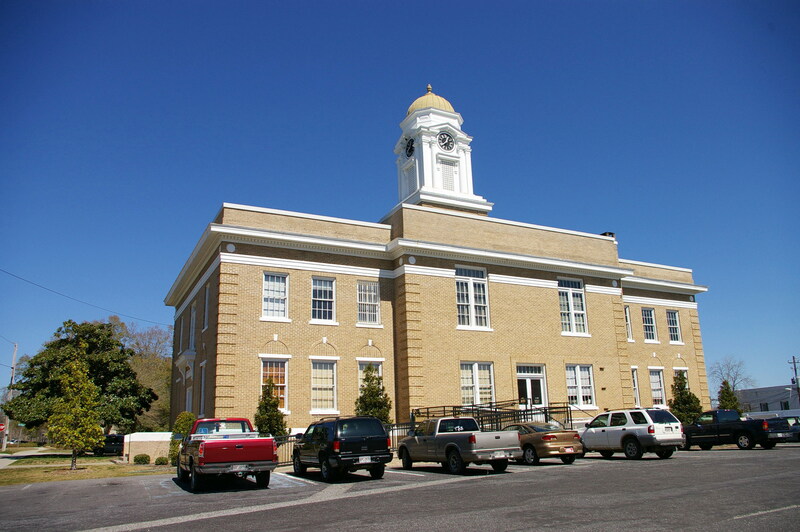 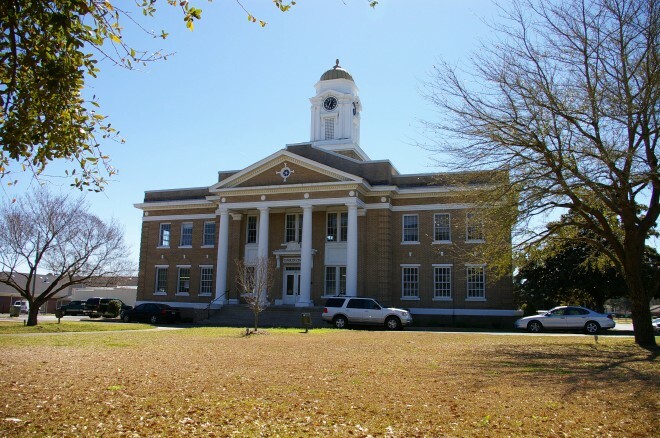 Description: The building faces north and is a two story buff colored brick and concrete style structure. 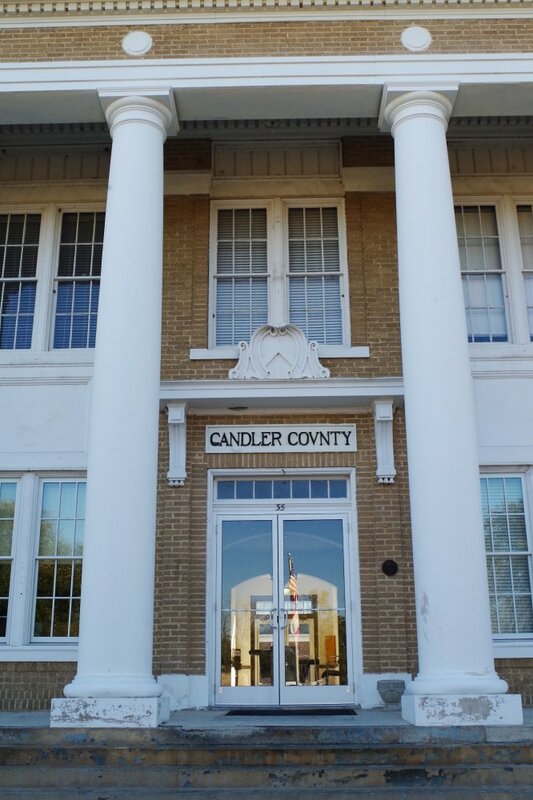 The building is located on spacious landscaped grounds and has a large portico supported by four large white colored columns rising to the pediment at the roof line. 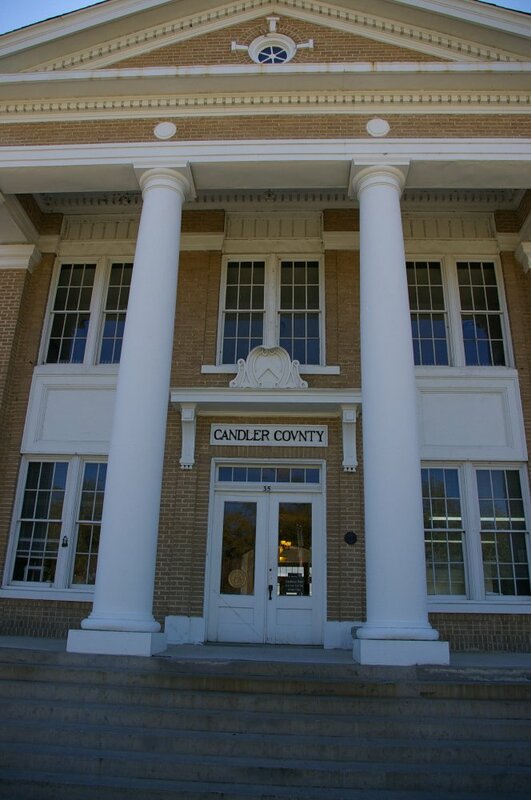 There is projecting section above the entrance. 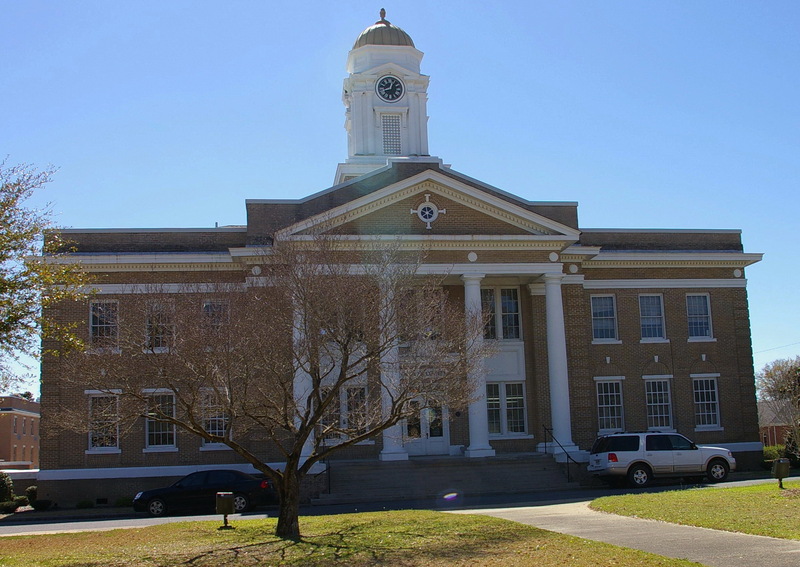 A horizontal white colored band runs above the second story windows. 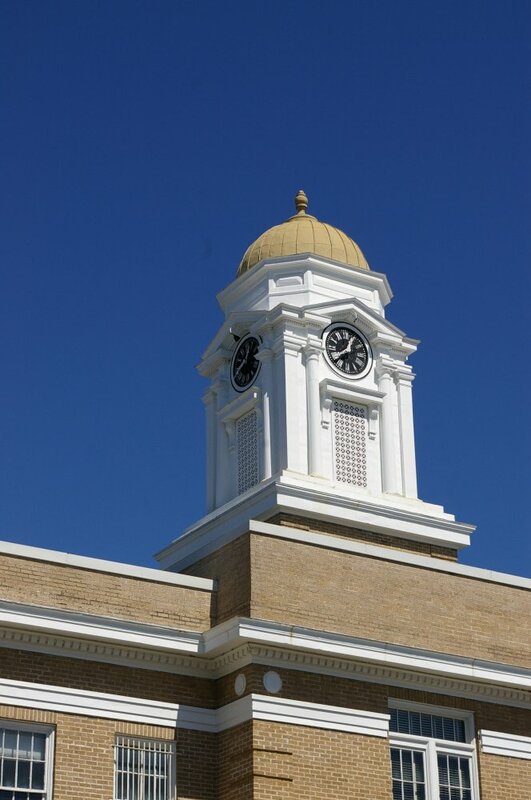 On the center of the roof is a high square cupola with clock.